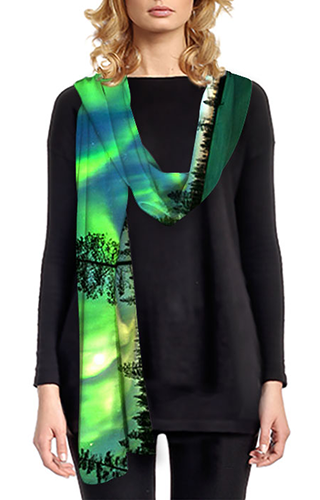 We love this repetition of resilient conifers contrasted with the ephemerality of the aurora, and think it makes for an elegant and wonderfully distinctive scarf. 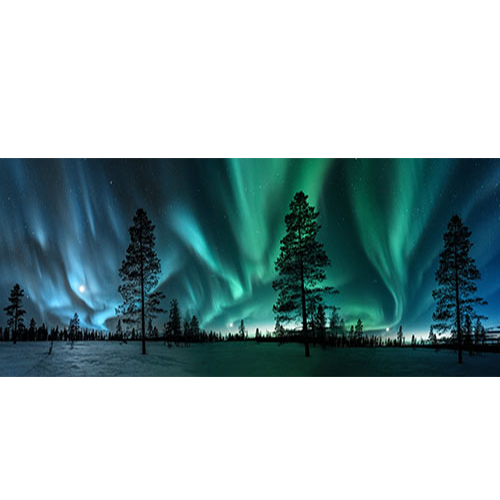 We've given it this name because the aurora borealis is caused by the interaction of the solar winds and the earth’s magnetosphere at more than 60 miles above the earth's surface, although here it looks rather nearer. 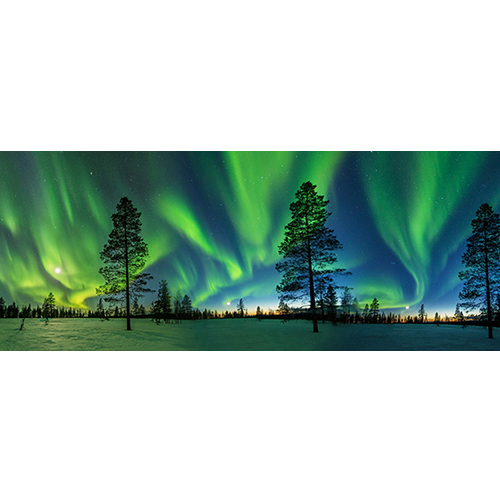 Photographing auroras is extremely difficult, not least because the results are unpredictable, and it takes stratospheric levels of technology, expert skill and dedication. 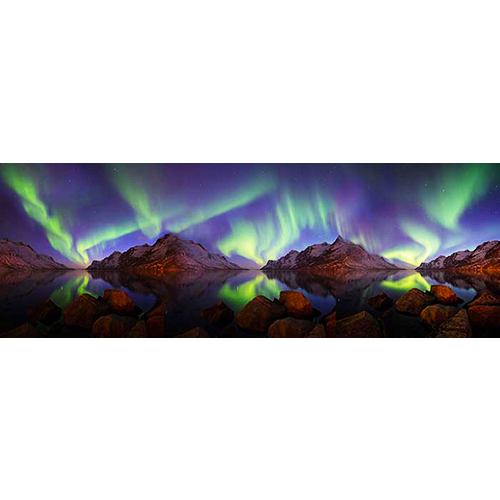 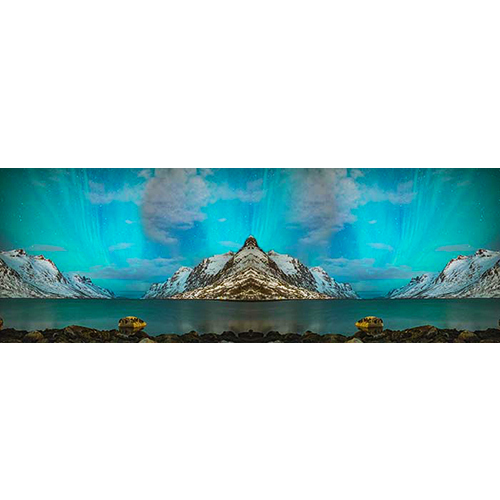 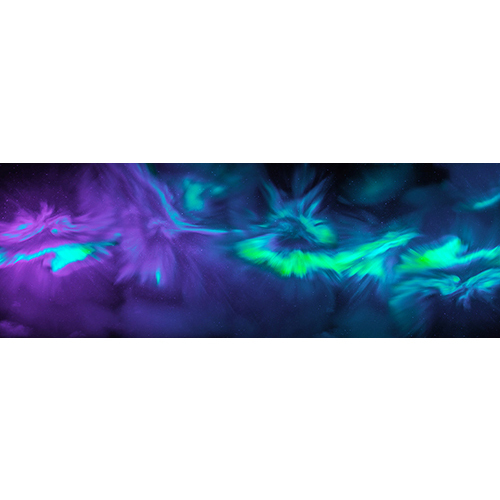 Andrew Machon's years of dedication to produce these Northern Lights images compares favourably with Richard Weston’s with minerals, and we are pleased to offer Andrew’s images exclusively for scarves. 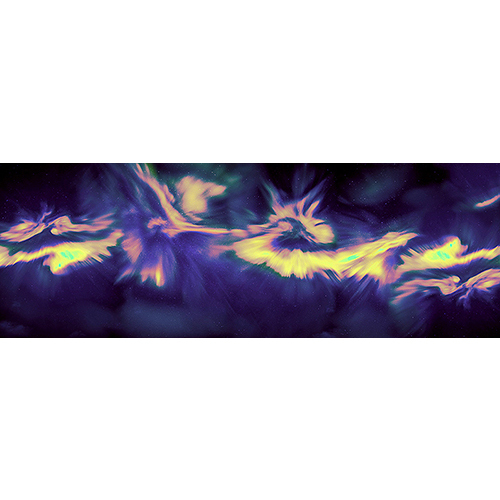 Read the newspaper at 1a.m.